早起的鸟儿有虫吃 literally means the early bird gets to eat the worm. It means we must rise early to have a better chance of success. In other words, if you wake up late, the worms (the food) will have been eaten by the early birds, you will have little or no food to eat. 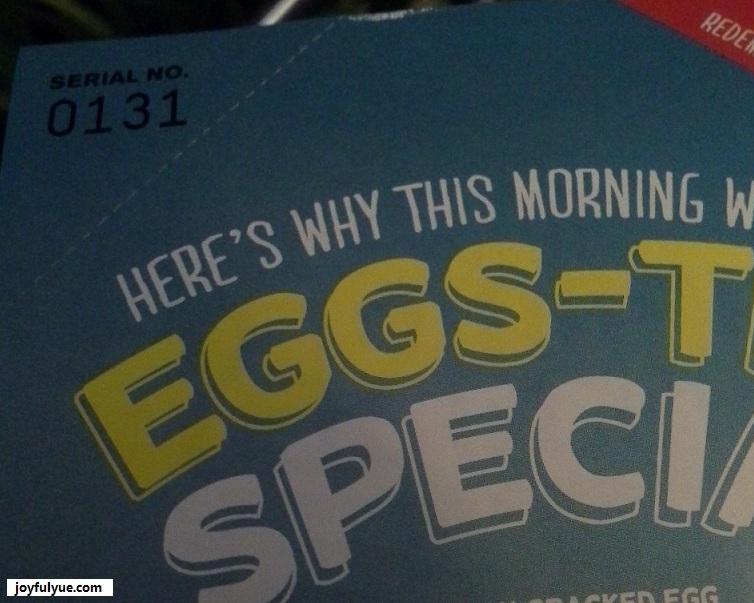 Today (17 March 2014) is National Breakfast Day. 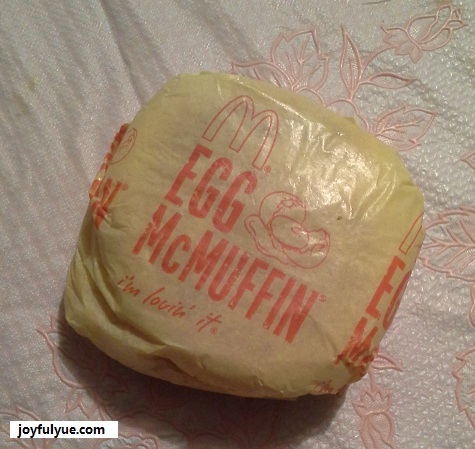 早起的鸟儿有虫吃, I woke up early to queue for a free Egg McMuffin. By Wendy in 成语，谚语，俗语，歇后语 on 17/03/2014 . I missed the free Egg McMuffin as I was running late for work. “晚起的鸟儿没虫吃” best described me. It’s ok. You can look forward to next year event. I went to McD nearby my house, reached there 6.10am, less than 20 people. By 6.25am, I already had Egg McMuffin in my hand. If you go to work at 6.30am, you can still grab a free Egg McMuffin on your way to work. By the way, did you download their alarm app? Perhaps due to the popularity of the free McMuffin, there are more freebies to grab each day. I just downloaded and cross my fingers tomorrow morning I can get a little surprise. My surprise today is a small fried fries with any purchase. I did not buy anything but passed this offer to my colleague who was buying Mcd dinner for her daughter just now. What about yours? Day 1: a small fries with any purchase. Busy schedule, missed that one. Day 2: English song to be downloaded. Received email to download, not sure if I will miss it again, coz I need to go to a website to download, seem troublesome. The small fries is really small so miss it also not 可惜. I received consecutive 3 days free small fries with any purchase and a free 12oz coke. Today, I am planning to buy a $2 burger to redeem both fries and get the coke to make a meal. Good planning. I get another small fries today, maybe I will wait for tomorrow’s surprise before I decide to redeem.